The Indonesian government took another major step forward in becoming the majority stakeholder (through state-owned mining holding company Indonesia Asahan Aluminium, or Inalum) of mining giant Freeport Indonesia that operates the lucrative Grasberg mine in Papua. A sales and purchase agreement was signed on Thursday afternoon (27/09) between Inalum President Director Budi Gunadi Sadikin and Freeport McMoran CEO Richard Adkerson. The signing ceremony was witnessed by Finance Minister Sri Mulyani Indrawati, State-Owned Enterprises Minister Rini Soemarno, and Energy and Mineral Resources Minister Ignasius Jonan. This latest agreement is a follow-up to a heads of agreement that was signed on 12 July 2018 by both sides. This sales and purchase agreement (which is a legal contract that details the terms of the transaction and obligates a buyer to buy and a seller to sell) involves the disbursement of USD $3.85 billion for Australian miner Rio Tinto's participating interest in Freeport Indonesia. Inalum will have to settle the purchase in November 2018, the latest. Sadikin said it will most likely use bank loans to settle the purchase of the participating interest. However, he emphasized that Inalum also still has USD $1.5 billion in internal cash reserves. As such, Sadikin is fully confident that the participating interest will come under Inalum's control in November 2018. However, he emphasized that the whole process remains complex in terms of administration. After all, various documents need to be arranged outside the jurisdiction of the USA and Indonesia. 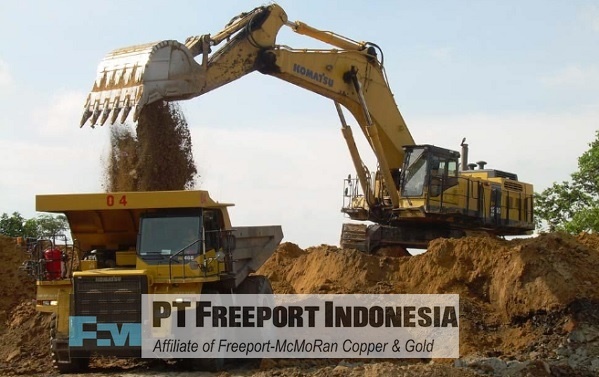 If the acquisition of Freeport Indonesia goes smoothly, then it is assumed to boost incumbent President Joko Widodo's chances to be reelected by the people in the 2019 presidential election (scheduled for April 2019).